Department of Science & Technology, Govt. of India provides funding for Kishore Vaigyanik Protsahan Yojana, which is a national level fellowship program aiming to encourage students to take up research in Basic Science as their career prospect.Indian Institute of Science (IISc), Bangalore being the administrative authority of the Fellowship program has the responsibility to identify talented students from school and college level and attract them to take Research as their Career. The fellows selected under Kishore Vaigyanik Protsahan Yojana continue to receive funding for their studies till doctorate level of their studies. 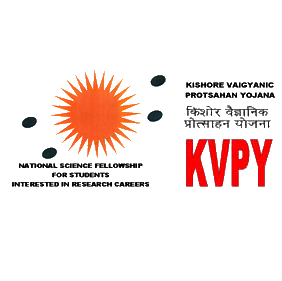 The selection of the candidates for KVPY scheme done by the means of KVPY Aptitude Test, in which students studying in class 11, 12 and students in first year of Bachelor of Science, Stat., Maths and integrated courses (M.Sc) in Maths, Physics, Chemistry, and Biology can participate. For the year 2015, the examination of KVPY was conducted on November 01, 2015 and the result of the same is expected to be declared in the month of December 2015. Before the result is declared, candidates can check their scores with the help of Answer keys of the same examination released by Indian Institute of Science (IISc), Bangalore on November 06, 2015. The candidates shortlisted on the basis of their performance in the KVPY written test, they will be called for interview and a final merit list will be prepared by calculating the total marks of the students based on the following formula: 75 % of the marks in the KVPY Examination + 25 % of the marks in the Interview. Persons with Disabilities: 32 Marks. Persons with Disabilities: 34 Marks. Persons with Disabilities: 40 Marks.